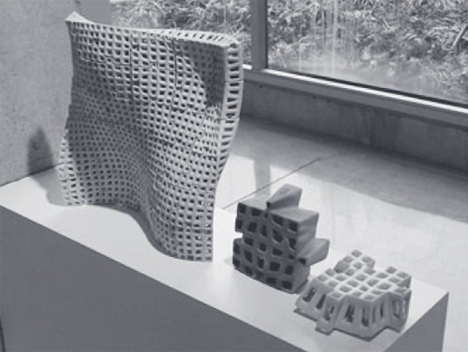 Architects were pioneers in the development of rapid prototyping and 3D printing, so it stands to reason that the architectural industry is still finding unique and useful ways to use this remarkable technology. A team of students at Cornell, working with Sabin Design Lab and Jenny Sabin Studio, created waste-free construction bricks that snap together without the use of mortar. 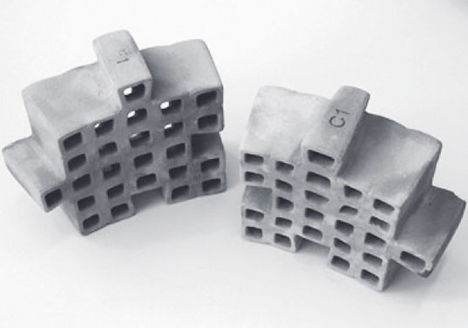 Dubbed PolyBricks, the building blocks are made of lightweight ceramic with a honeycomb-type structural lattice. This structure gives the bricks tremendous strength and makes them exceptionally lightweight. Each brick fits into the bricks around it via interlocking pieces, eliminating the need for mortar and cutting down on construction costs. Gravity helps to strengthen the connections and make structures more stable. 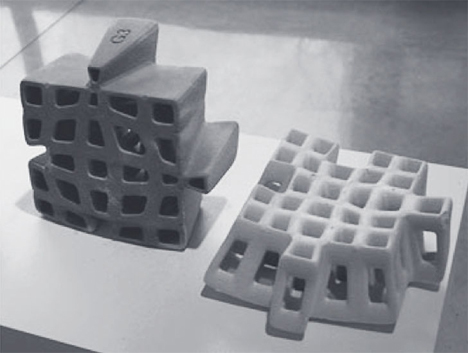 Building with PolyBricks would enable an entire structure to be made from just one material. Data obtained during the construction of a structure can be used to tune the structural lattice of each brick to meet the specific attributes it needs. This fully-customized type of construction will allow for complex, biologically inspired structures. One of the biggest benefits of ceramic is that it’s inexpensive to work with. The PolyBricks system uses a material that is already inexpensive, eliminates other materials and allows for an unprecedented amount of freedom in design. 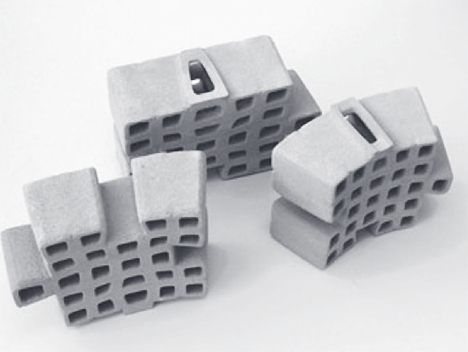 The project is the first to address the use of 3D printed building blocks as viable construction materials, and from the results it seems that the PolyBricks building system is far superior to our old brick-and-mortar method. See more in New Materials or under Science. August, 2014.